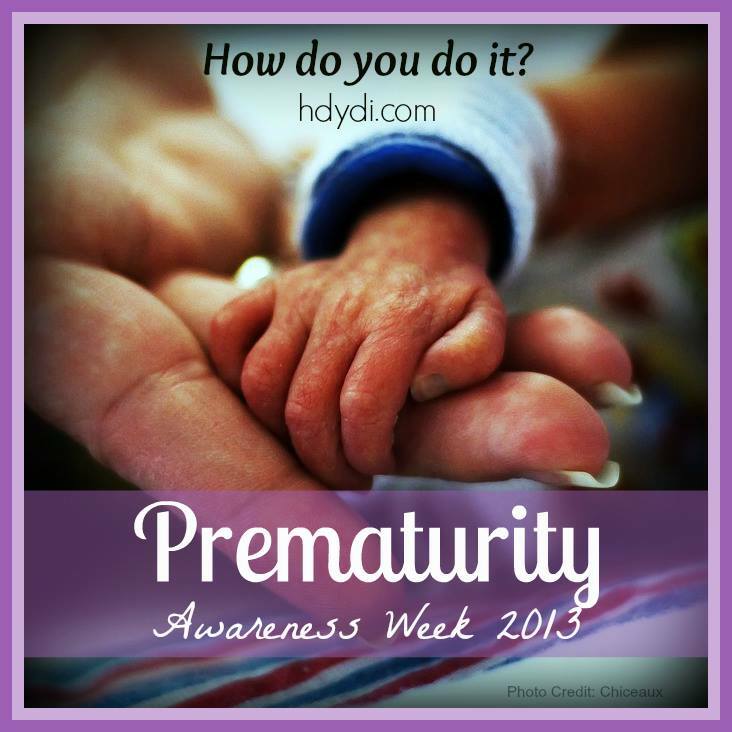 Micropreemie Twins: Ashley's Birth Story | How Do You Do It? A guest post from Ashley, whose identical twin boys — now almost seven years old — were born at the end of her second trimester. When I went in for my ultrasound appointment at 19 weeks, we got a huge surprise. “Are you ready for twins?” the ultrasound tech asked me. “No, and that’s not a funny joke, either!” I told him. He laughed and told me it was no joke and turned the monitor towards me. I saw two perfect little beings mirrored one above the other. I was having identical twin boys who had kept their presence unknown from me or the doctors for this long. That day I was also told that I was now very high risk because the boys shared the same placenta and they thought that they also shared the same amniotic sack. At 20 weeks gestation, I met with my new group of high risk doctors, 140 miles away. After my first ultrasound, I was told by my main doctor’s colleague that my boys suffered from Twin-to-Twin Transfusion Syndrome and that I would never carry them to a viable term. He said I should make peace with the fact that I would be burying my children and not taking them home. Fortunately, I was quickly told by the doctor I was sent to see that they did not know for sure that it was TTTS, but from the small size of Baby B they suspected this to be true. He then proceeded to tell me that my cervix was extremely too short, ½ cm when it was supposed to be 3 cm, and that I would have to have a cerclage before any other doctors would or could take care of me and my babies. After that procedure was completed, he then sent me to Cincinnati Children’s Hospital. This was one of only two hospitals that were equipped to handle TTTS patients. I arrived there at 5:00 in the morning for an MRI, genetics testing and two very detailed ultrasounds. On my second day there my parents and I met with the team of doctors working on my case. They told me that I did not have TTTS but I had an incompetent placenta that was not providing my baby B the nutrition he needed to grow. I was to continue care with my high risk OB and take it day by day. Fast forward to 25 weeks gestation. I had been on very strict bed rest for the past 5 weeks at this point; I was only allowed to get up on my feet to shower and use the restroom. I went in for my weekly appointment on the Tuesday before Thanksgiving. I asked my doctor if I would be able to go home for the holiday, as by that time I was living 3 hours away from my family due to my husband’s new job. He said he didn’t see what that would hurt, everything looked good, but I was due to be back for my appointment the next Tuesday. I enjoyed a wonderful holiday with my family and looked forward to seeing my growing babies the next week. When I got to my appointment, my second favorite doctor was seeing me that day. She prepped me for my ultrasound and I lay there and enjoyed seeing my boys on the big screen. After it was done she looked at me and told me I was not going home until the boys arrived. Baby B was suffering from diastolic blood flow disorder and if he became distressed it could go bad fast and we could lose him as well as brother. She needed me where they could monitor him. I was at 26 weeks and 5 days at this point. I made camp in the room I thought would be mine for another 14 weeks; little did I know that the doctors and NICU team had other plans. I had doctors coming in and checking the boys and talking to me about what was going on that day and the next day. My wonderful father saw how overwhelmed I was becoming and asked the Neonatologist, “If this were your wife or daughter, what would you do?” The doctor looked at us and told us they were better out than in; my boys had an 80% chance of survival at this gestation, and if I were his wife or daughter he would deliver and not risk losing one or both of the boys. 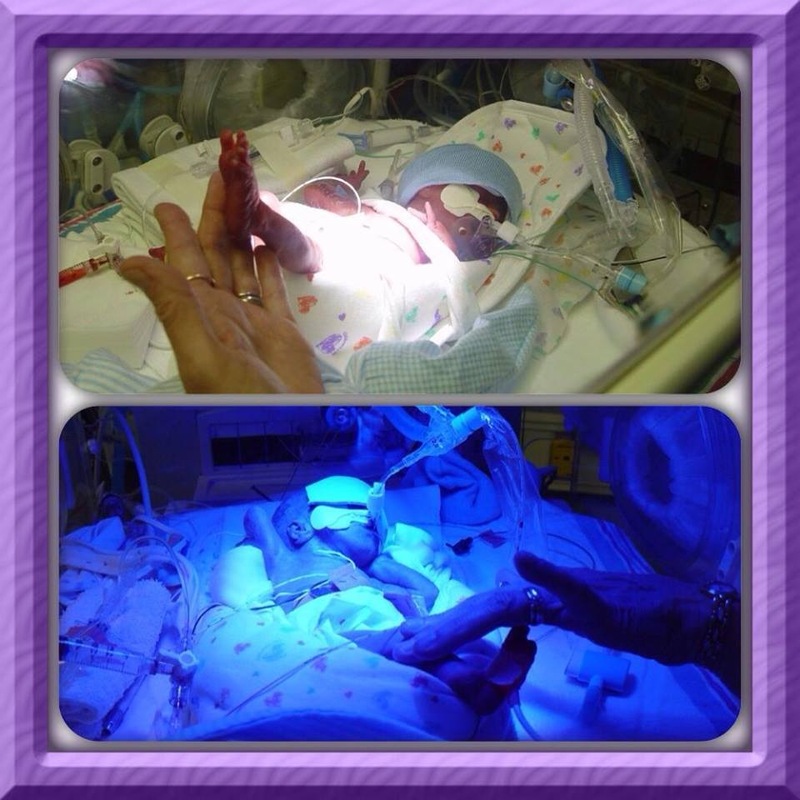 My tiny little boys were delivered that Friday, December 1, 2006, at 27 weeks and 2 days gestation, 13 weeks before they were scheduled to arrive. Baby A weighed 2 pounds 3 ounces and was 13 inches long; Baby B weighed 1 pound 14 ounces and was 12 inches long. We started our NICU ride and were prepared for the rollercoaster. Our Baby A did great; he was a feeder and a grower. He came off the ventilator 8 days after he was born and went home 52 days after his NICU journey began, weighing in at 5 pounds. Our Baby B had problems, though; he was on a ventilator for 32 days, had several infections and required several blood transfusions. There were times we worried about the fate of our littlest one. We never lost our faith that he would come home, but as any mom would, you worry about your child when the doctors look at you and tell you all they know to do is pray. He had to have a hernia repair on February 13, 2007, and that helped him a lot with his breathing. We finally brought him home on my due date of February 28, after 89 days in the NICU. He was still on oxygen and 9 different medications, but he was finally home where he belonged and weighed in at a whopping 6 pounds 6 ounces at 3 months old! He came off his oxygen 3 months after he came home. While in the NICU baby B failed his newborn hearing screen twice. We found out that he had severe to profound hearing loss in the left ear and mild to moderate hearing loss in the right ear when he was 6 months old. He was fitted with his first set of hearing aids on July 22, 2007, and we started speech therapy that same month. 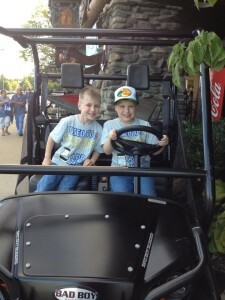 Fast forward to today…my boys will soon be 7 years old! They are in the 1st grade and are doing amazing! To look at them you would never know they had such an early start. They both are accelerating in school and their teachers are just amazed at the knowledge these boys already have. Baby B is going to get his third set of hearing aids in the next week and is doing great in that regards. My boys are my little miracles, I am so very grateful for them every day. Sadly the strain of having two sick children and other personal issues that never fully became resolved took a toll on my marriage. Their father and I divorced in 2011. I am thankful to report that we have remained very good friends and co-parent the boys very well. Ashley, this story is nothing short of incredible. Thank you so much for sharing. It is so encouraging to see how very vibrant your boys are today, contrasted with how very early they came into this world and the challenges they faced as infants. Thank you again for the inspiration!